Located in the country setting of Floyd County VA this custom well-built home offers privacy on the nearly 2.5 acres. 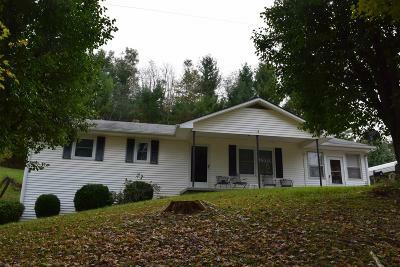 Found at 188 Reed Ln NW Willis VA this home takes you back to a simple time on a old country gravel road. Constructed in 1980 this home has been a one owner home. During the last few years new windows, hot water heater and flooring have been installed. Heated by an oil furnace there is already duct work installed which should make converting to an HVAC fairly simple if desired. A great feature of the property is the main level living accessibility. A single car garage is in the basement with an outdoor carport as well. Several mature fruit trees are on the property as well as other hardwoods. Property could make a wonderful starter home. Located within a half hour commute to Floyd VA, Hillsville VA and Christiansburg VA.